Simpl is an innovative product that can simplify online shopping by enabling one-click purchases and buy-now, pay-later - like we've said before, it's an anti-wallet. The way it works is, well, pretty simple. You go to a site or app that supports Simpl, such as BookMyShow or Faasos, and shop normally. When it's time to pay, just select Simpl as your payment option, and you will be asked to enter your mobile number if it's not already stored in the app you're using, and then enter an OTP sent to your number to confirm the payment, and that's it - you're done. The company is working on making this experience even simpler, starting with food ordering. Zomato added support for Simpl on the iOS app for Zomato Order recently, and you don't even need an OTP - just select Simpl, tap on pay, and you're good to go. This functionality was demonstrated to Gadgets 360 by Simpl co-founder and CEO Nitya Sharma, at his office in Indiranagar in Bengaluru this week. "They [Zomato] have already done this on iOS, and the Android app is also going to get the update soon," he says. Pay-later as a service isn't unique to Simpl - payments platform PayU has a similar service called LazyPay, and another startup in this space is ePayLater, while others such as Ola and Flipkart have similar offerings, though only for their own platforms. But it's a comparison Sharma is adamant not to make. "We're not 'pay later'," he says. "We are focused on the user experience and want to make it as easy for you to shop. People don't go online to pay, they want to buy something, and that's where the focus should be." That's one side of the equation, the consumers, but Simpl has another set of customers as well - the merchants that enable it on their platforms. "We're a two-sided marketplace. For the merchants, we help them to identify who the best possible customers are, that you can offer additional services to." "Amazon solves this very well with Prime, but for other merchants, the customers come and go," he continues. "We make it possible to get a better picture of the best customer, and we offer them a frictionless experience with no transaction failures, which enhances loyalty. We're not a credit product, we are giving you a smoother checkout, and a single bill to pay." Simpl (and others in the category) do, of course, give a certain amount of credit. But unlike a credit card, the limits here are very low, though they are updated algorithmically based on your shopping habits and your repayment behaviour. As a result, these services are best suited to high-frequency, low-value transactions like taking a taxi or food ordering or buying a movie ticket, for instance. "We have 75 merchants, with 100 more in the pipeline right now, and except for taxis, we've got all the small transactions you'd want already on board," says Sharma. "We're talking to the taxi companies of course, and we've just worked out a tie-up with a fashion e-commerce company, so apparel is also started now, though I can't share the names at this point." But of course, if you're used to ordering via the apps of these services, you know there's another kind of payment instrument that's also widely available - the mobile wallet. 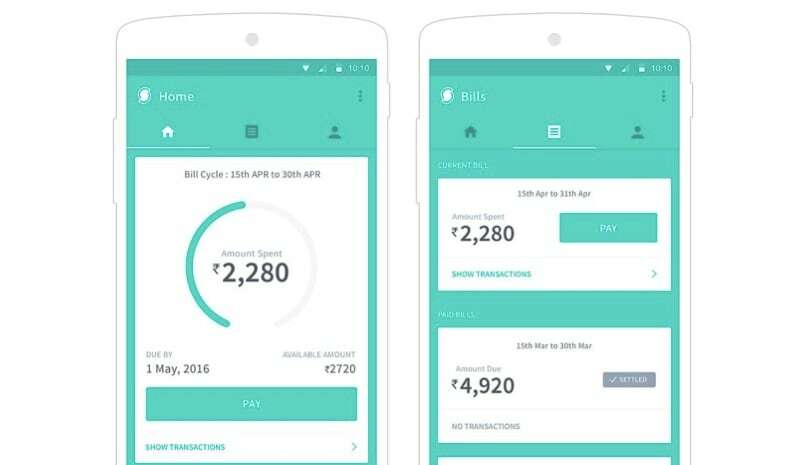 Wednesday's announcement by the RBI promises to bring in interoperability between wallets, which should stir things up further, but Sharma believes that wallets are filling a very different kind of niche from Simpl and others. "They're a very different model, they're very transactional in nature," he says. "No one gets up and says, 'let me fill up my wallet today', you hit a roadblock in a payment, and you realise you've used up the amount that's been saved, and then you refill it." That's also part of why Simpl hasn't tried to offer cashbacks the way almost every wallet does, to incentivise new users. "They're a lot of fine print, where you've got 100 percent cashback - max value Rs. 75. Cash does not have to offer cashbacks - people prefer it because the user experience is simpler for them, so that's where we [all] need to innovate." One potential rival that Sharma is surprisingly positive about is the UPI. He says that the experience still has room to improve - right now, you'll trigger a UPI payment in one app, then close it and open your UPI app, and then authenticate the payment before returning to the first app - but he says it is something that Simpl will be adding as a payment method soon. "UPI is phenomenal. The infrastructure is really great - it's real-time, 24x7 payments that is really great," he says. "But it isn't the last mile yet. The user experience still needs to be developed, but as a commodity, I think it has a lot of potential and we also will use it. But the other issue is the question of data - you want to know more about your customers, and that's what we can offer to the merchants." That's why Simpl is also working with banks to offer solutions in the near future, Sharma says. The goal, he says, is to do all this, while cutting out on the noise customers encounter in payments. "Think of payments like electricity. You want to be able to plug in your lamp to the socket, turn on a switch, and have it light up, knowing that it's safe and it'll work," he says. "Right now, the plugging in part needs to be worked on, that's where we are. There isn't a single socket, there are hundreds of plugs, and your lamp won't work with all of them, and you don't even know if the socket is safe."